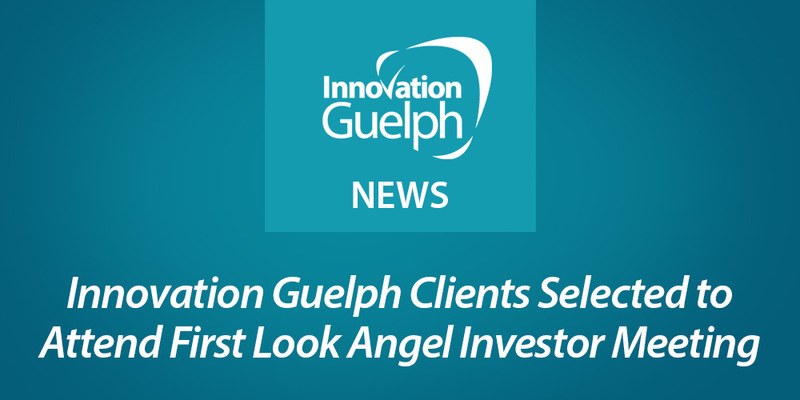 Innovation Guelph sponsored three clients, Can-Dairy, Precision Biomonitoring and Altilis Beauty (a division of Soleluna Cosmetics Inc.), to participate in the annual First Look Angel Investor Meeting in Mississauga on May 30. These three companies were among the 16 high-potential startups selected to attend from five regional innovation centres. Each company had the opportunity to take part in a gathering with over 100 private investors and members of angel groups from across Southern Ontario, including an opportunity to pitch to the angel investors. Drew McIver, CEO and Founder of Can-Dairy, Canada’s premium grass-fed organic dairy company, said that participating in the event was both a learning experience and a great opportunity to add to his network. 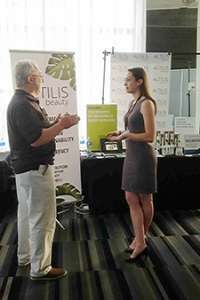 Kenna Whitnell, Founder and CEO of Altilis Beauty, a plant-based skin care company, said the event gave her new insight into how to connect with investors. Mario Thomas, Co-founder and Chief Executive Officer of Precision Biomonitoring, a company that provides onsite DNA services for environmental assessments, added to his business in an interesting way at the meeting. Congratulations to these three companies for being chosen to attend this year’s event! 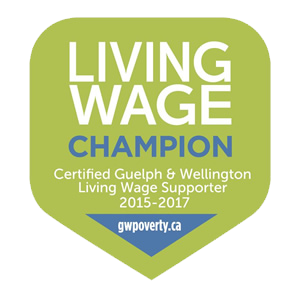 We look forward to seeing more Innovation Guelph clients participate next year.